Shooting games are challenging and competitive. In the past, most of the shooting games that the players were obsessed with were both playing against each other. The two parties were equal in number. You came and went, and it was very lively. However, such a model is easy for players to feel bored. 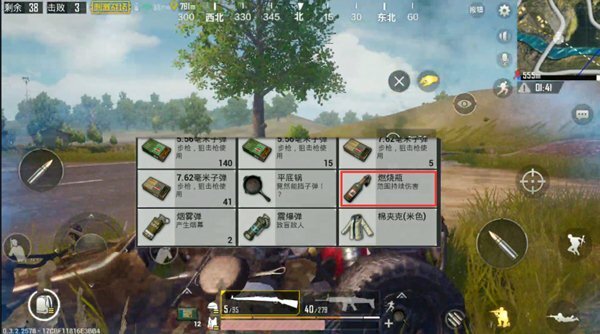 In order to increase the difficulty of the game and increase the interest of the game, shooting games such as “chicken” emerge as the times require, sweeping across the globe and are a game that players love. 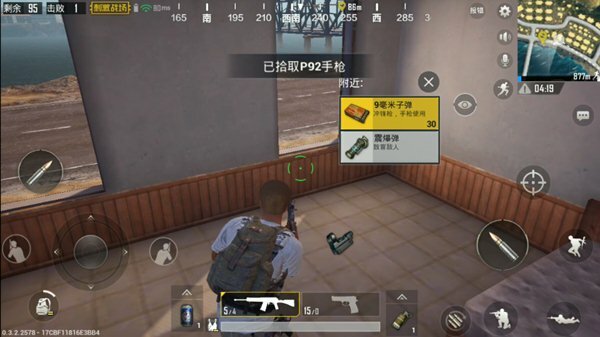 This PUBG genuine mobile game produced by Photon Studio is this type of game, which will restore many of the essence of the end game, allowing players to feel full of pleasure. So how do you become a master of this game? Today I will share with you the advanced use of throwing weapons. Many players only know how to use their own firearms to open fire while they are engaged in battles with the enemy. Instead, they ignore the picked-up throwing weapons. They are not furnishings. In this game, anything picked up has its value and significance, as is the throwing of weapons. Some players think that throwing a weapon is insignificant, and may even allow the enemy to escape or kill themselves. In actual fact, as long as these throwing weapons are properly used, the possibility of eating chicken will become much greater. Fragment grenades are the most common throwing weapons and they are also a game. Among the most frequently used throwing weapons, its scope of explosion is quite large, and its lethality is not weaker than that of firearms. Just in the throwing process, the player needs to grasp the angle and timing, otherwise it will allow the enemy to drill. So how do you play a major role in fragmentation grenades? First, players need to understand The basics of fragmented grenades, how long will the grenades explode after the ring is opened? There are few people who know this answer, most players are relying on feelings to throw grenades, and even some players will make people laugh. The thing – the grenades have not yet been thrown out. As a result, the enemy’s clothing corner has not yet been touched and he hates to drink. A fragmented grenade will only explode after only five seconds if it is opened. After players know this, they can give the enemy a big surprise. In the process of dealing with the enemy, when the enemy hides in a corner or grass and the firearms are helpless, the player can pull the fragment grenades. If the distance is determined by hand, if the enemy is far from itself, it can be thrown to the position of the enemy after holding it for two seconds. If the enemy is not far from itself, throw it out after holding it for three seconds. 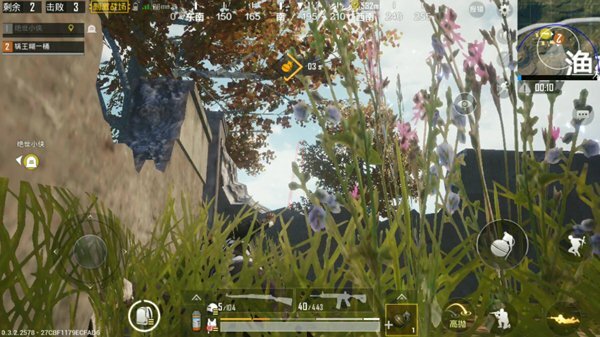 Sometimes the enemy hides behind the trees, fragment grenades can not be a lethal blow to it, then players can throw to a more remote place to attract the attention of the enemy and take this opportunity to close. As the name suggests, the role of smoke bombs is to release smoke and interfere with the vision of others. This kind of throwing weapon is also more common. Players can both throw at their own position and throw at the enemy. However, this is sub-indicated. 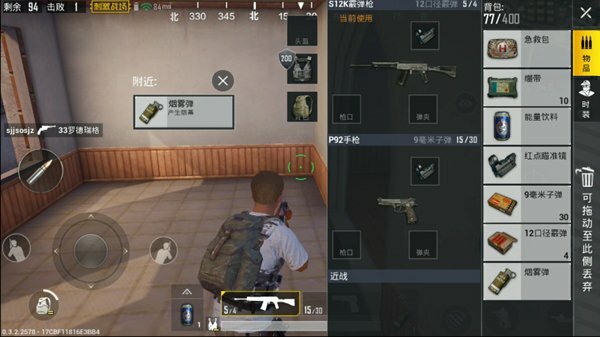 If the enemy uses a weapon such as a sniper rifle, he does not hesitate to choose the former; if the enemy is in the house, he can choose the latter, throw the smoke bomb and approach it afterwards. Prepare it to kill it. Shock bombs can be said to be an enhanced version of the flash bomb, which can instantly blind the enemy and cause hearing loss. The 2.5 seconds after the blasting bomb pulls open the ring will play a role, so the player should quickly judge and throw it during use. Of course, it should be noted that the blast bomb cannot attack the enemies behind the glass, and may even hit the glass and rebound to the player’s feet. Many new players will ignore this kind of throwing weapon and think it has no real effect. For many Mengxins, this kind of throwing weapon does not work instantaneously, but it takes a certain amount of time. In fact, the burning bottle is a weapon to kill the enemy in certain circumstances. If the enemy is hiding in a weedy place, the player will throw the burning bottle, and it will not take long for the enemy to hold the head rat and kill it with the aid of the chaos of the enemy. While throwing weapons is not as important as firearms, it does wonders in some situations to help players kill enemies faster. Reading text can only increase awareness, but it does not enhance experience. If players want to enrich their own experience and become advanced masters, they must also train and use throwing weapons in actual combat.